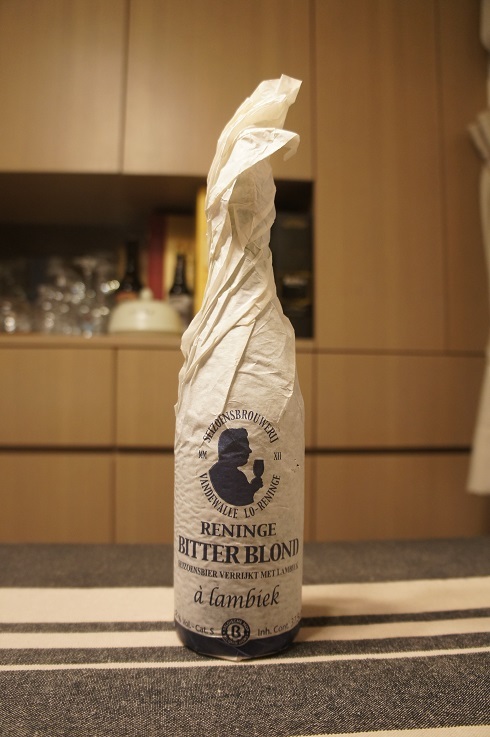 Brewer Description: (from bottle paper wrap) High fermentation beer with a positive taste evolution because of the refermentation in the bottle. 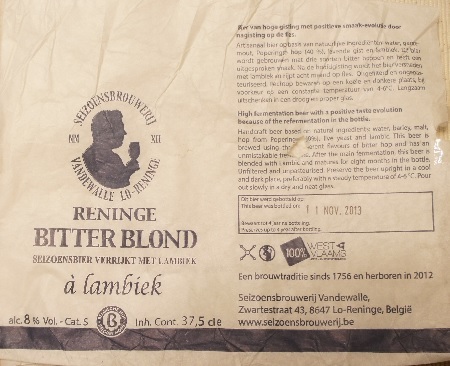 Handcraft beer based on natural ingredients: water, barley, malt, hop from Poperinge (40%), live yeast and lambic. This beer is brewed using three different flavours of bitter hop and has unmistakable fresh taste. 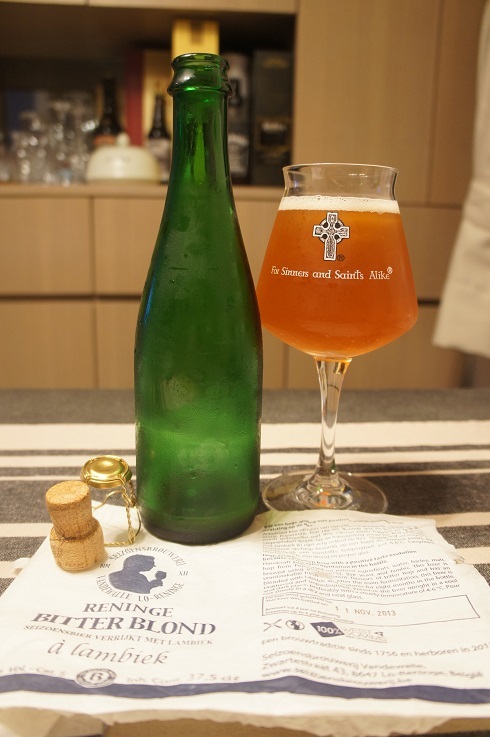 After the main fermentation, this beer is blended with Lambic and matures for eight months in the bottle. Unfiltered and unpasteurised. Preserve this beer upright in a cool and dark place, preferably with a steady temperature of 4-6°C. Pour out slowly in a dry and neat glass. Intro: A 375ml paper wrapped, corked and caged bottle, bottled on 11th November 2013 and a statement that says it preserves up to 4 years after bottling. Poured into a Lost Abbey teku. Appearance: A hazy copper orange colour with a one finger white head that dissipated fairly quickly, while leaving sparse lacing. Aroma: Tart citrus tangerine, funk, earthiness, oak and a herbal element. Taste: There’s a light sweetness, followed by some bitter orange rind, sour lemon juice and a mix of dusty, funky and herbal elements. Overall: This was ok with interesting sweet, bitter and sour, but I wasn’t too fond of the herbal aspects that were there.